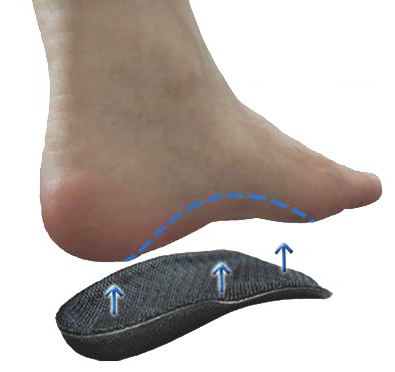 Biomechanics Medical Corrective Shoe-pads with Far Infrared Ray Energy fibers, the concept of viewing the Shoe-pads’ design is scientifically developed with the ergonomic ,biomechanics and Specialization of human foot. Our invention of Standardization is fit in with human foot which is combined those 57 joints together with 26 bones became a three-dimensional arched , which can correct the arch of foot out of shape and restore human inappropriate posture. And it's Suitable to any one whom aged nine to above. 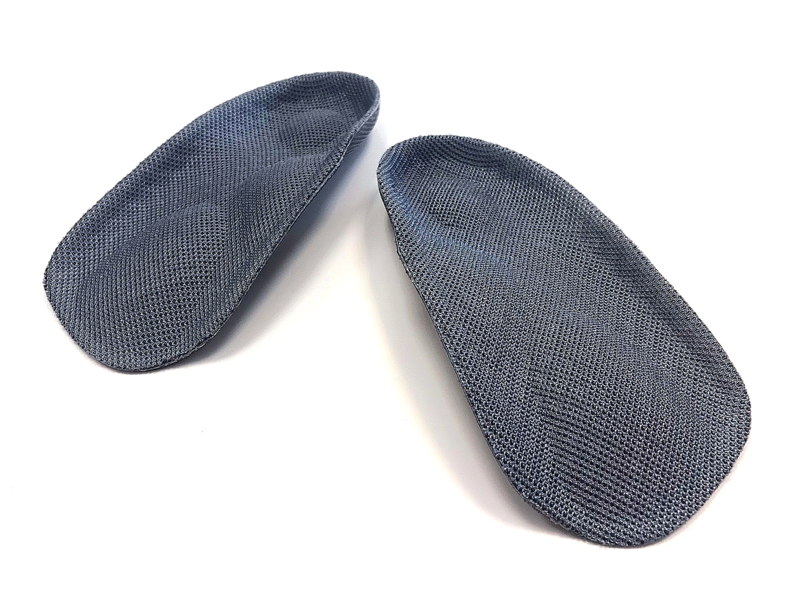 For Simplification , the design of Shoe-pads is not customer made needed but more convenient to any available shoes to shoes. 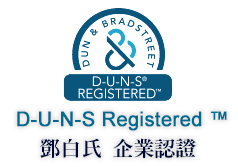 Our invention is good in theory of Specialization , Standardization , Simplification 、 Suitable and Smart for humanity .It’s 5-S design exactly. More than 80% population suffer from foot-related problem, The Problem Foot causes POOR POSTURE .The joints or muscles pain are closely related to our POOR POSTURE. We called it Biomechanical symptom. Our invention helps to correct human poor posture, disperse body weight evenly and reduces pressure to the joints, feet and lower lumbar to restore healthy and comfortable walking and any moving motion. And it will “activate” and synchronize to restore the stability and structure of one’s joints in lower lumbar and feet. Therefore, it can absorb shock, reduces pressure, provide sufficient protection , support and massage the wearer’s foot. It will also stimulate the foot reflexology points (especially “bubbling Spring point”) to stimulate our main organs metabolism and improve blood circulation . ＊To Restore sitting, standing, walking and running postures. ＊To Improve weight dispersion and reduces pressure on joints. ＊To Relieve pain on foot, ankle, heel, waist, back and shin. ＊To Improve stability and muscle strains for high arched foot. ＊To Prevent injuries from sports activities. ＊To Realign mild joint misalignment. It's the greatest invention for humanity . We called it STRONG FEET.